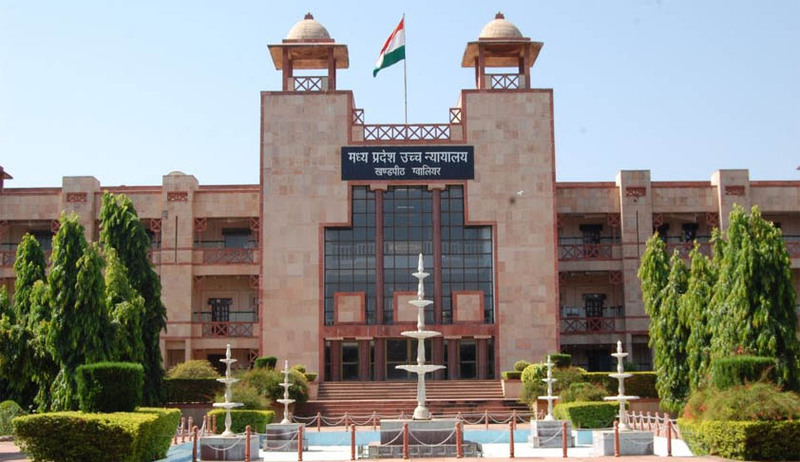 The Madhya Pradesh High Court in Jabalpur has taken a hardened stance on lawyers who created a deadlock and obstructed work on April 27 against chief justice A M Khanwilkar's decision to set up a committee to examine representations for creation of a circuit bench in Bhopal. As a step against the strike, the HC created a record by issuing notices to thousands of advocates who represented litigants in cases listed for hearing on April 27. The court also cited a 2003 judgment of the Supreme Court which banned lawyers' strikes in this connection. In its Aprilorder, the HC said, "Not only have they rendered themselves liable to be proceeded against for contempt (of court) but also to pay the cost and damages to litigants, who have suffered because of non-hearing of their cases today (April 27)." One such notice was delivered to senior advocate VivekTankha, who was the advocate general of Madhya Pradesh and now practices mainly in the Supreme Court, with regards to a 'vakalatnama' for a case he had filed nearly two decades ago. The High Court apparently has pulled out old 'vakalatnamas' from case files and mechanically issued notices to advocates who have long ceased to appear for cases after getting designated as senior advocates. Tankha told the CJI, "To say the least, it is unthinkable that judicial orders can be passed by courts in such casual and mechanical fashion. I must confess that it belittles the institution so dear to us and when we address it as 'temple of justice'. It also calls into disrepute the exercise of special powers vested upon the high court of judicature, reducing the sanctity of the proceedings in a court of law." Tankha added, "I am informed identical judicial orders and notices of misconduct have been issued in thousands to members of the bar, some of whom today adorn chairs of high plenipotentiary judgeship in Supreme Court/high court, designated senior counsel, lawyers who have long passed away, lawyers who permanently shifted base to Chhattisgarh more than a decade back and also to lawyers (some designated seniors) who have been cleared by the collegiums for appointment as judges. "All this (issuance of notices), happened on April 27 in Jabalpur (principal seat of HC), on April 28 in Gwalior (bench) and April 29 in Indore (bench). Ironically, a high court judge who issued notices of misconduct to lawyers on April 27 is himself a victim of one such notice. The contempt cause list of the high court dated June 17 reflects the name of the judge." In a letter written by Tankha to CJI, he has said, "In 1999, on designation as senior counsel and appointment as advocate general of the state, I transferred more than 20,000 pending briefs to younger associates. From that day, my name never appeared as a counsel in the cause lists of any court in Madhya Pradesh."